Sid graduated with a law degree from University in East Anglia and subsequently read a Masters degree in European Business Law in Cambridge, before completing the Legal Practice Course. Sid has always had a keen interest in property, particularly buy to let investments. 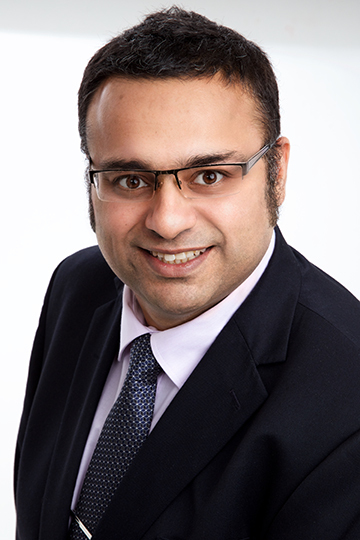 Working as a Conveyancer was a natural step for Sid. He has worked previously as a Conveyancing Manager at Avery Clifford & Co in Reading and Kealy Farmar LLP in Henley-on-Thames. Sid speaks fluently a variety of Asian subcontinent languages including Punjabi, Hindi, Guajarati and Urdu. Sid has always had a keen interest in politics. He has served two terms as an elected Local Authority Councillor and stood for Parliament at the 2010 General Election. Sid enjoys spending time with his family and can be found attempting to play a decent game of squash or running ultra marathons. Sid has completed the London to Brighton by foot challenge on over three occasions and has cycled from London to Amsterdam, both for charity.